Do we like altering the past? 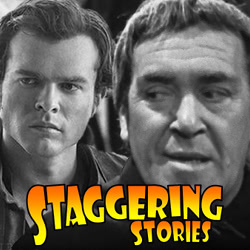 Yes, Staggering Stories Podcast 290: The Meddling Nerf Herder is now available! Doctor Who: The Meddling Monk. Plus, as ever, lots of news (Doctor Who, Star Wars, reference books and more). More madness than getting wet with a Wookiee!